I will admit it. I have a soft spot in my heart for films that pull back the curtain on the inner machinations of Hollywood. It's why I enjoy films like Hail, Caesar!, The Player and Get Shorty more than I should. The Big Take is the latest in this long line of comedic thrillers that is right in my wheelhouse. While many will make comparisons to Pulp Fiction, especially with Tarantino regular Robert Forster in the cast, I found that the film was more a cross between the irreverence of The Big Lebowski and the slick style of 2 Days in the Valley. A would-be producer comes up with an elaborate plan to blackmail a Hollywood star to secure financing for a film. When the star hires a private investigator to track down the blackmailer, things go off the rails when a case of mistaken identity entangles a screenwriter and his wife. The Big Take is the debut effort from writer-director Justin Daly and he shows the promise that one would expect from his prominent Hollywood bloodline (his grandmother is none other than Hollywood legend Ingrid Bergman herself). I'm sure that it's hard to walk in the shadow of such a legendary performer, but he does so admirably and demonstrates his own flair for storytelling. The simplistic beauty of The Big Take lies in its casting approach where relative lesser known actors are surrounded by strong, well-known actors in supporting roles. The inclusion of Dan Hedaya and Robert Forster not only lift up the characters they are playing but raise the level of water of everyone around them. These two actors are great Hollywood character actors and they bring much-needed experience to a young set. Another established Hollywood star that lends her talents to the production is Zoë Bell. Another actor in the Tarantino, Bell is given a juicy role in The Big Take and takes advantage of it. More often than not, her performances in Quentin Tarantino's movies are overshadowed by the larger than life personalities surrounding her on set. But here, she is not held back by any restraints and she delivers what might be my favorite performance of hers to date. As you can see in the exclusive clip above that we debuted here on the site earlier today, Dan Hedaya brings his usual top-notch talent to the film. Hedaya is one of the best character actors working in Hollywood today and he can bring both the serious and funny to his roles. In this film, he tends to be more on the serious side, but it's a good foil to the rest of the madcap adventures happening around him. While it's easy to say that most behind the scenes in Hollywood films have the same general premise, that's where The Big Take bucks the trend. I don't really want to get drop too many spoilers, but it's clear that the film takes a major detour from the expected in the third act and it's a bold choice that pays off in my humble opinion. 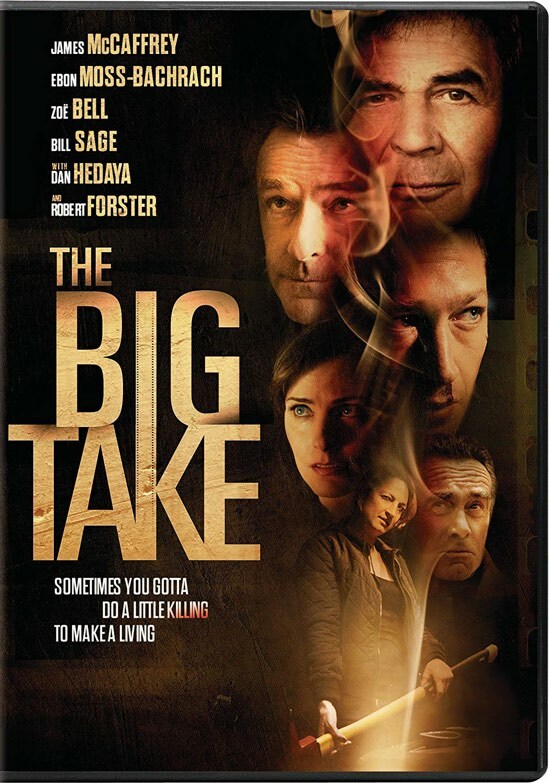 If you are a film fan that appreciates a peek behind the curtain, then I think you will really enjoy The Big Take. Even if you just like solid pacing in a comedic thriller, you will not regret watching this film. The Big Take is now available on DVD.